Do You Need Theory To Write Music? Do You Need Music Theory To Write A Song? "You don't need music theory to compose a song" is something that I read every other week from people who comment on my articles and videos. And you know I can see why: it's technically not a wrong statement - but it is definitely misleading. I think the basic issue here is that, despite what most people say, music theory is not made of rules but it's made of tools that you can choose to use or not use. 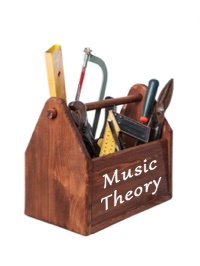 To give an analogy, music theory is like a toolbox where you can find a hammer, a screwdriver, and many other tools. You can have power tools too. And then you can use these tools to build a house - which in our analogy could be writing a song or improvising a solo. So in our analogy, composing without music theory is like building a house without (say) using the hammer and instead opt to use a rock to drive the nails into the wood. You CAN do it... but it's not optimal. In fact you can build a house completely without tools, like a mud hut. Now that we have established our analogy, let's see the objections to it. "But Music Theory Will Stifle My Creativity". I can see why you think this way, but remember that theory = tools. Do the hammer or the screwdriver stifle the architect's creativity? No, you can still make your house in any shape you want - and in fact it's precisely THANKS to these tools that you can build the house how you want it. If you think that theory is stifling your creativity it's because you are using it as a crutch, not as a tool. Theory does not tell you what to compose, it tells you how music works and how you can get a specific effect, but the CHOICES are still yours. "Music Comes Before Theory, And Music Will Always Be Greater Than Theory". Well, yes - the same way houses were built before we invented the screwdriver and the hammer. But just as you can't build a skyscraper if you do not have the right tools, it's hard to compose good and original music without knowing anything of theory. "Putting Together Chord Progressions Requires No Theory"
The answer of course is that chords and chords progressions ARE theory! 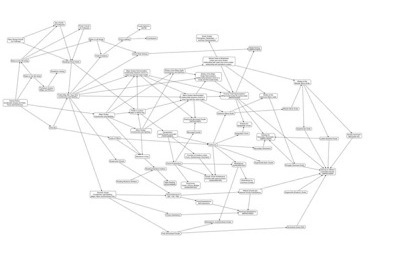 The misconception here is that music theory is something complicated or esoteric. In reality, we talk about music theory every time we do music: whenever we talk about chords, scales, notes, pitches, bars, beats, rhythms... this is music theory. Of course there's much more to theory than the basic elements. Now, do you need negative harmony and Schenkerian analysis to compose a song? Of course not! (Though these things might help you). As in our metaphor you can build a house using hammers and nails, or you can use screws and screwdrivers, or you can sue a variety of other tools. But the fact that you can CHOOSE the tools does not mean that you can do without tools. It does not end here: the person who wrote that comment also added: "Chords do not require theory, as they are simply 3 notes played together" which is pretty much the music theory textbook definition of chords... so much for not needing theory! "But You Don't Need Theory To Compose By Ear". Again, technically true, but it makes it MUCH easier! Sure, anybody can sing a melody... but now take any person from the street and ask them to invent a melody on the spot. It's a safe bet that the melody will be diatonic and harmonizable with the chords I IV and V in either major or minor. So, Can You Compose Without Theory? Technically yes - if for instance you surround yourself with very competent musicians that can transcribe what you sing, find the chords to that melody, create the sounds that you have in mind, etc... then yes, you can definitely compose without knowing theory. But this is like saying that you can build a house if you pay a construction company to design and build it for you - ok, it's your house, but you didn't really "build" it. Or you can learn some theory and make your life easier. It's not as scary as it seems. Promise! And if you need help, check out this course on chords and harmony on guitar that explain all the theory you need to write songs in plain language with lots of examples on the fretboard.